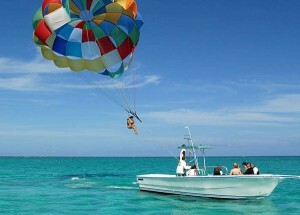 Parasailing is one of many water sports that are enjoyed by vacationers around the globe. 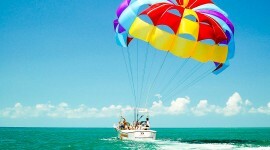 If you have ever thought about owning your own company, a parasailing business may be the way to go. Aside from the initial investment and insurance premiums, there is not a lot of overhead and the profit margin is very high. If you have a love of the water and enjoy spending time in tourist locations, consider opening your own parasailing business. Learn all that you can about the sport of parasailing. 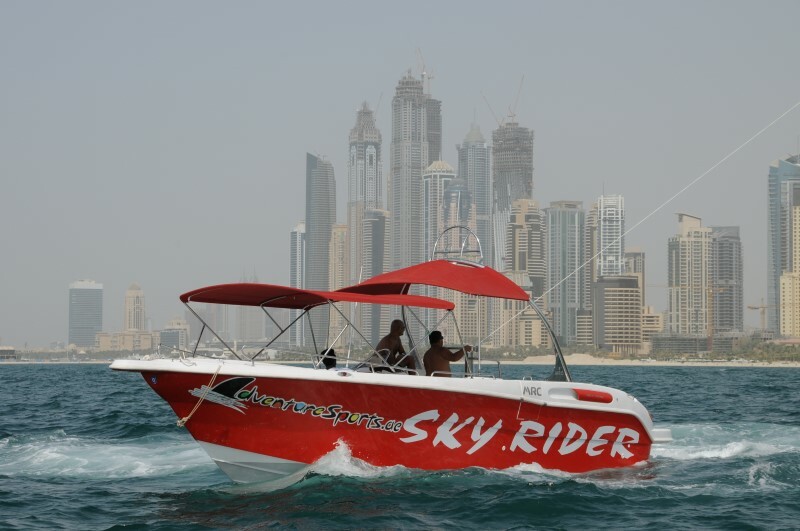 Research the equipment necessary to parasail, such as the types of boats necessary to pull the equipment and licensing and insurance requirements. 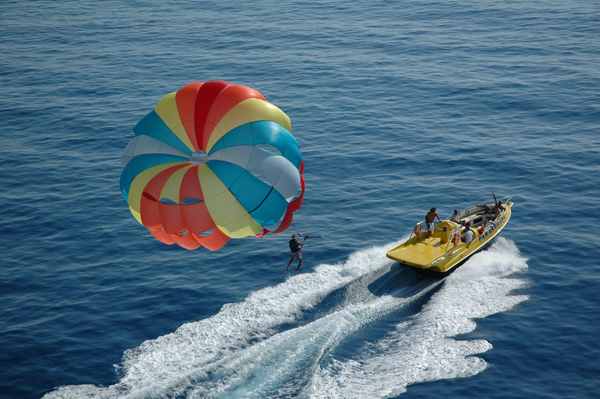 Search for a location that does not have another parasailing business within the same vicinity, unless the tourist area you have selected is so heavily populated that there is a high demand for an additional parasailing company. Speak with local restaurant owners and community members in that area to inquire about renting out space on the beach for your parasailing business. Find other parasailing companies that are far enough away from your desired location that they will not regard your company as a competitor. 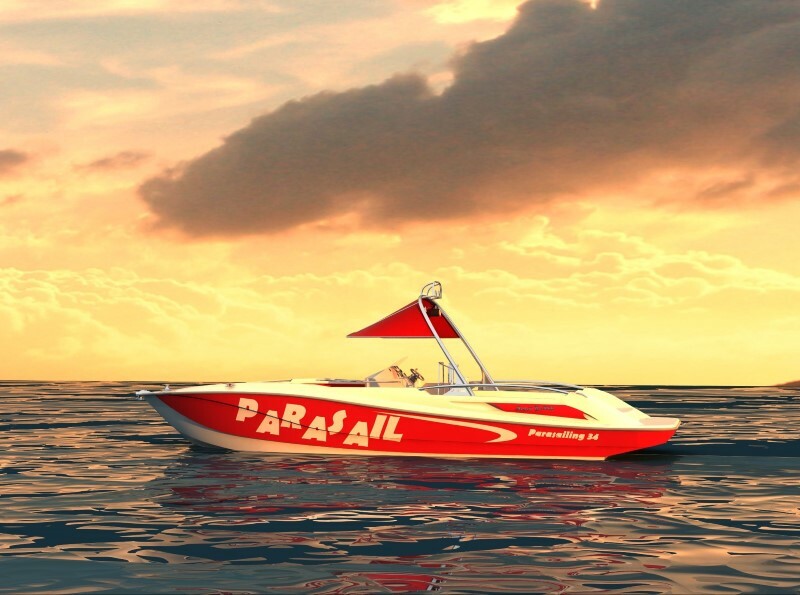 Ask to set up a meeting with the owner to learn all you can about every aspect of running a parasailing business. Take notes on business advice, marketing tips, and mistakes to avoid. Contact local lending institutions that specialize in small business loans. Present them with a well-constructed business plan that details all aspects of your proposed business, including start-up costs and initial investment, profit margin, required equipment, demographics and customer demand. 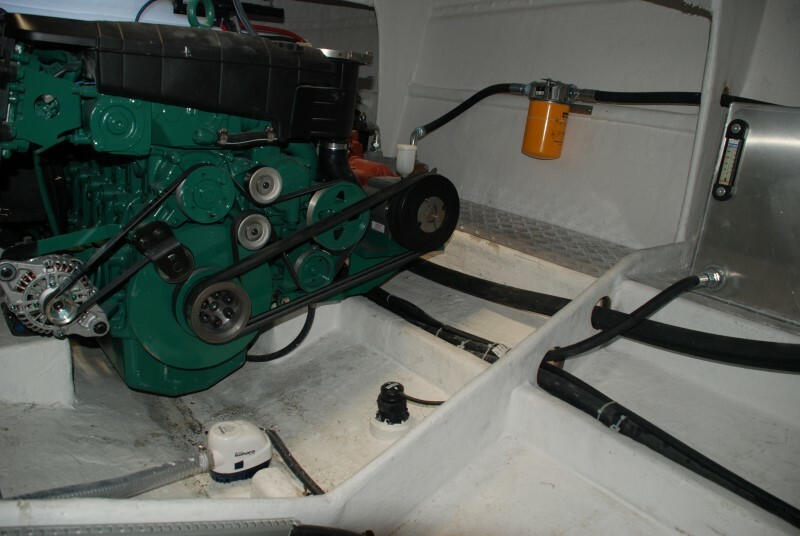 Contact insurance companies and shop around for quotes. Find a company that provides competitive rates while offering at least the minimum amount of coverage required by law. 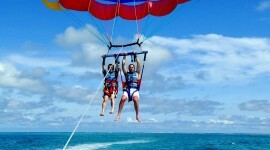 Purchase all of the necessary equipment and supplies to start your parasailing business. Hire a professional printing company to draw up business cards, pamphlets and fliers. Distribute them to local tourist hot spots such as restaurants, hotels, bed and breakfasts, fishing supply stores and surf shops. 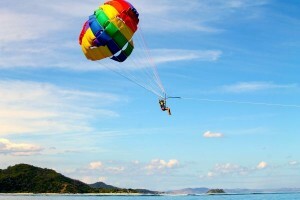 Construct a professional website to advertise your parasailing business. Include contact information, location, hours of operation, rates and fees, age requirements and restrictions and a section that details what to expect from the experience. Consider pairing up with a local photographer who specializes in action photos. Contract him to work with your company and pay you a percentage of any photography work he books through your parasailing business.